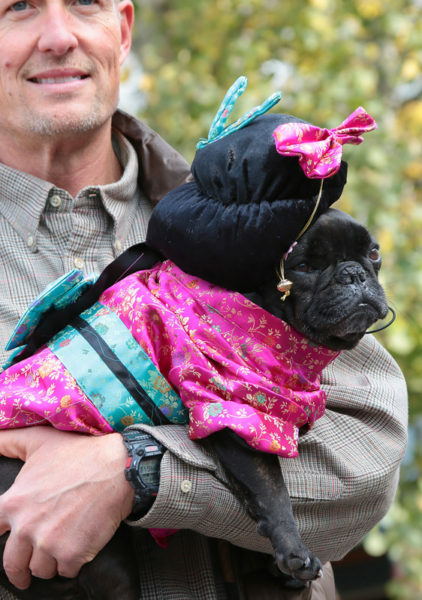 Do the clothes make the dog? 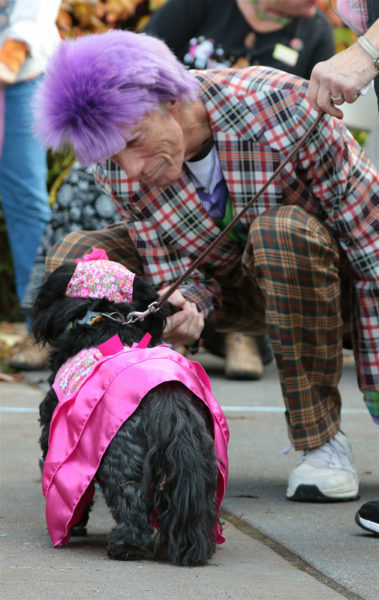 On Saturday, October 22, Goosefoot sponsored the 11th annual Mutt Strut at Bayview corner. 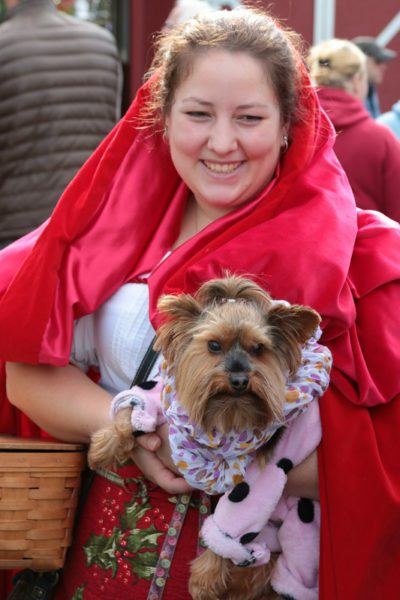 Forty people registered their costumed dogs for the pet parade and judging, and many wore costumes that matched their pets. Costumes choices ran from simple to elaborate. There were lion, tiger, and bear costumes, plus clowns, geishas, Star Trek crews, spiders, Pokémon characters, and a sushi-wrapped toy boxer. Master of ceremonies Jim Freeman led the parade through the Bayview Farmer’s Market and back to Cash Store past hundreds of appreciative spectators. 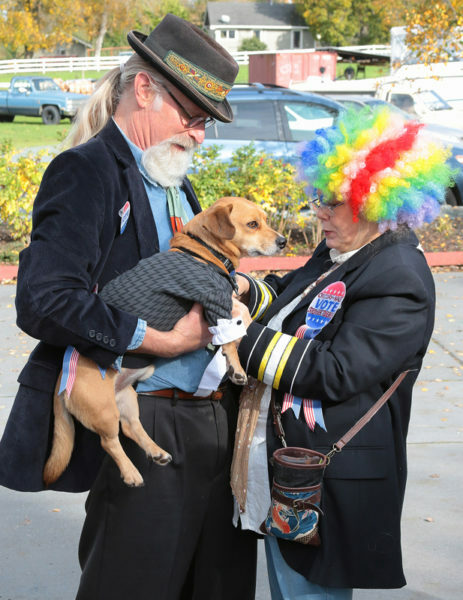 The panel of judges awarded prizes for Best Pet Costume, Best People Costume, Best Dog and Owner Combo Costume, Best Celebrity Dog, Best Dog Trick, and some honorable mentions. The beautiful fall day provided a perfect backdrop for the festivities. 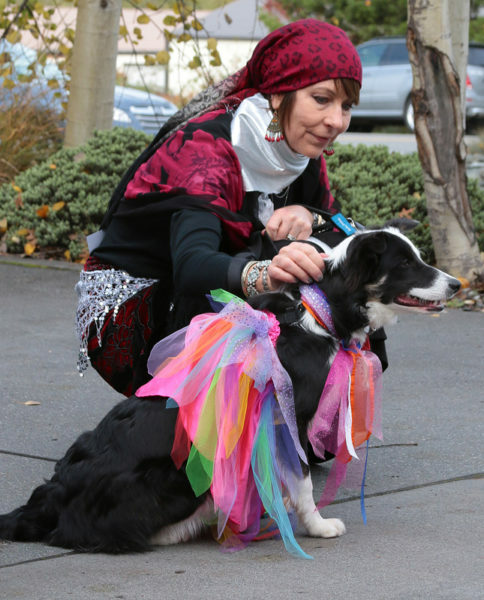 Here are a few of the participants and their canine pals. 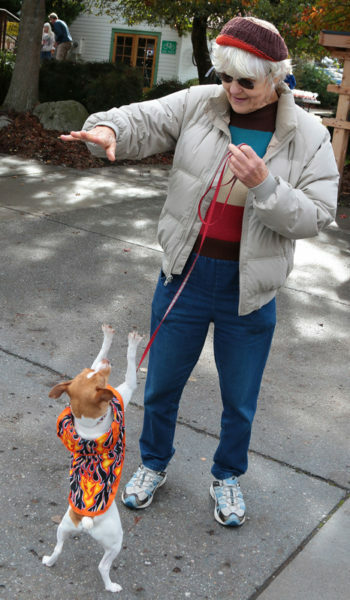 Leah Hartley and her 5-year-old rat terrier Spinnaker Gale won the Best Trick prize for the third year in a row. 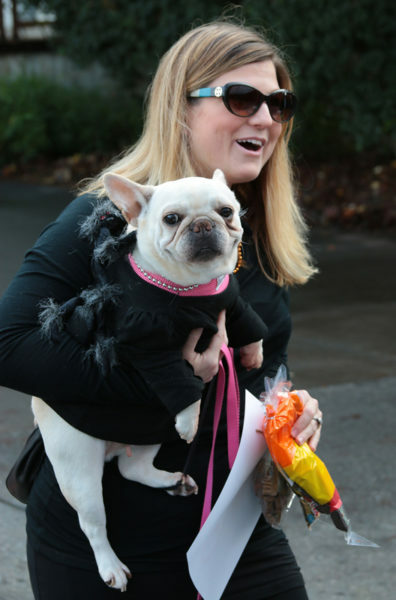 Alex Sheldon, her mother, and their two Yorkshire terriers, won Best Owner Dog-Costume Combo. 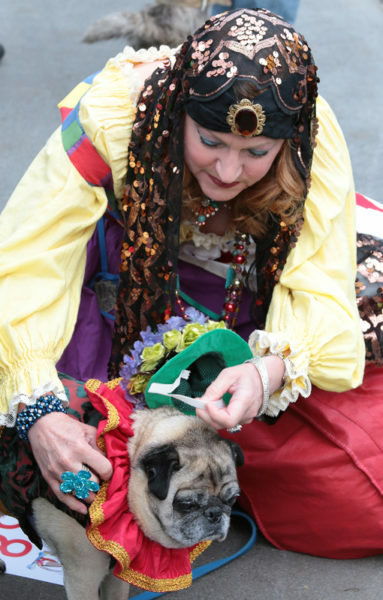 Gail Liston and her dog. She and her husband won Best Adult Costume. 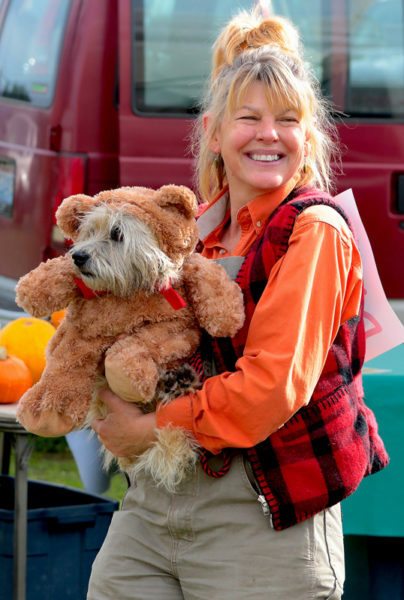 Suzi Dixon with Gilligan, her Cairn terrier. Master of ceremonies Jim Freeman interviews a contestant. Don Wodjenski, is an artist, photographer, and musician living in Coupeville. 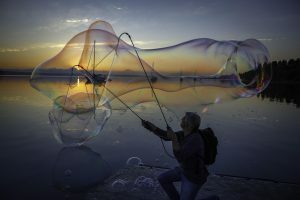 Recently retired as an arts instructor with South Whidbey Schools, he remains active in the Whidbey arts community.